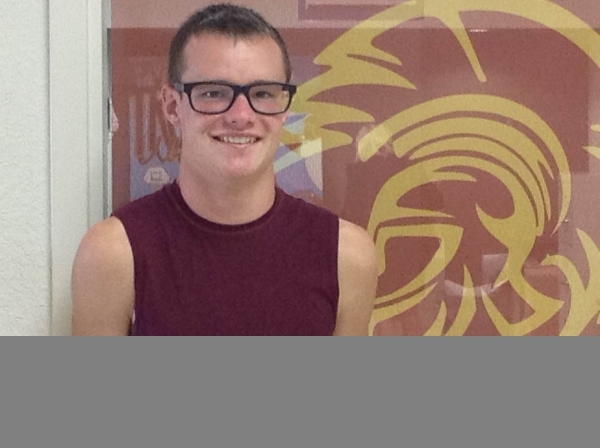 As a new freshman runner he was the best long-distance runner Pahrump had to offer and now he’s back with even more determination to be on top. Trojans cross-country runner Bryce Odegard represented the team at the state cross-country meet last year and was the fourth best finishing in 16 minutes and 56 seconds. 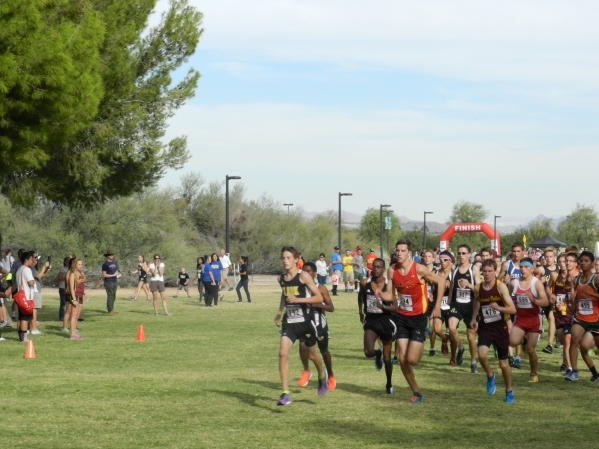 Of the three runners that finished ahead of Odegard at state, two of them graduated, leaving just senior Chase Woods of Faith Lutheran to beat. Woods finished first at state (16:37). The stage is now set and as fate would have it Odegard’s new running partner is Chase Woods. Odegard said he has been doing this since late June. The sophomore runner said he is now running with new vigor and a new purpose. Last season he said he was just going out and running two miles a day. He is now running four to five and sometimes eight miles a day. His new coach wants him to be running 40 to 60 miles a week. In addition to the amount of running he does, his new coach has changed his running form. Besides winning state in cross-country this year, Odegard wants also to do well at the Las Vegas Track Club Legends of Cross Country 5K. Odegard has been running races over the summer. He did the Notch run, sponsored by the LVTC and he finished fifth (31:41). Chase Woods ran that race but had an injury and did not finish. “I was really happy with my finish,” he said. Odegard said he is running more comfortably, but he still needs to work on things like his speed. To work on his speed, he will be attending a running camp at Southern Utah University shortly. There won’t be boating and arts and crafts at this camp, but to him it will be fun. He said there will also be a race that is challenging, called the Highway to Heaven. The race will be run at 11,000 feet above sea level and it will be three miles. The young runner said his longest races have been nearly four miles, although he did do a 10K by mistake. “I was running in a race at Mountain Falls and I took a wrong turn and ended up doing the 10K instead of the 5K,” he said. Odegard said his other goal is to help build up the cross-country program at the high school. The Trojans boys cross-country team has never won a state championship. In the end, Odegard said that Woods is beatable.